There's a truck driver shortage. You can fog a windshield with your breath and you'll get a job. Right? Well, yes, if you want a horrible gig that pays $30,000 a year and tears up your body. But you want a job with great pay and great perks like full medical, cushy sleeper cabs, and a $25,000 safe driver bonus. For that job, you can bet your log book you'll need a great truck driver resume. A truck driver resume example better than 9 out of 10 other resumes. How to write a truck driver resume that will land you more interviews. Tips and examples of how to put skills and achievements on a truck driver resume. How to describe your experience on a resume for a truck driver to get any job you want. 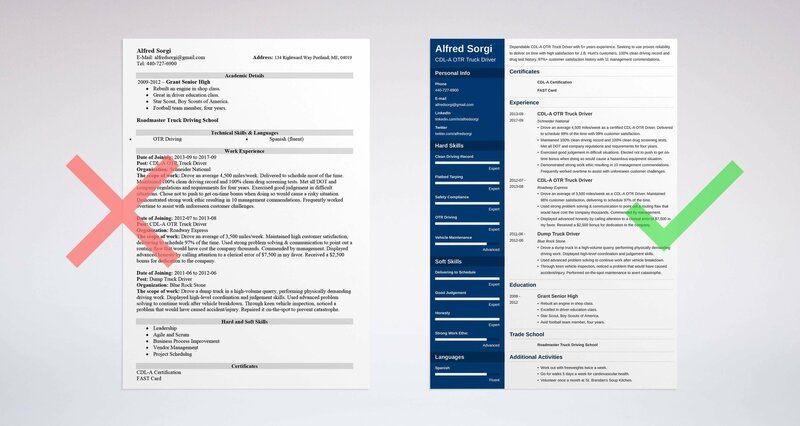 Here's a sample resume for a truck driver made using our resume builder. Truck Driver Resume Examples - See more templates and create your resume here. What's the Best Format for a Truck Driver Resume? Meet the hiring manager, Ken. He's got ten Hess Trucks in his office, but he can't see them over that stack of 300+ truck driving resumes. By the time he gets to yours, he's so bleary he can hardly read it. The best truck driver resume format will grab his attention like an air horn. The reverse-chronological driver resume format does that. How? By shortcutting right to the important info. It lists your last job first. To make it easy for Ken to see your best side, use clear, legible fonts and big, friendly headings. Use white space too, to give his eyes a rest. 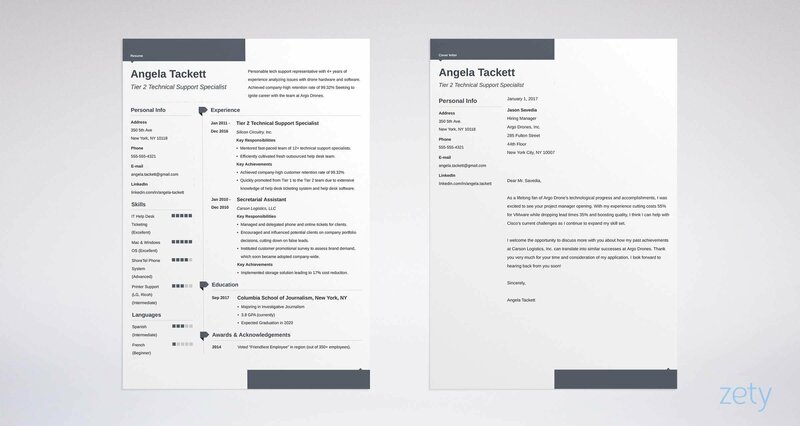 Finally, save your resume as a PDF. Truck driver resume PDFs preserve their formatting when you send them. MS word resumes can scramble in transit. Pro Tip: Does the company accept commercial truck driver resume PDFs? If the job description doesn't ban them, that's a green light. Just make sure to check. Want to explore other formats for a resume for truck drivers? See our guide: "3 Resume Formats: How to Choose the Best One [Examples]"
Remember our hiring manager, Ken? After 298 trucker resumes, he's as tired as an OTR trucker on the last leg of an 11-hour shift. You need to convince him you're the one to hire, and fast. That means no piles of words to roadblock him. Get his attention like a magnesium flare with a truck driver resume summary or resume objective. Think of them as hooks. A resume summary proves your worth by showing your accomplishments. It's for truck drivers hauling plenty of experience. A truck driver resume objective statement shows your passion for the job. Use it if you're deadhead. Dependable CDL-A OTR Truck Driver with 5+ years experience. Seeking to use proven reliability to deliver on time with high satisfaction for J.B. Hunt's customers. 100% clean driving record and drug test history. 97%+ customer satisfaction history with 11 management commendations. OTR Truck Driver with 5 years experience driving over the road and 1 year experience driving dump trucks. I have my CDL. I have amazing truck driving skills in OTR driving and vehicle maintenance. Those are as different as a speed trap and a truckstop. That first OTR truck driver resume example is packed full of measurable achievements. It'll land a CDL Class A driver job. With the second CDL resume, you couldn't get a job hauling peanuts to Georgia. Don't have that kind of experience? No worries. Use a truck driver resume objective. A resume objective shows your passion for the job opening. It gets you hired from sheer grit, with no truck driver experience. But here's a trick. You should still put some impressive hooks in it. Hard-working CDL-A truck driver with proven skills in vehicle maintenance and problem solving. As dump-truck-driver for Blue Rock Stone, performed physically demanding work. My vehicle inspection and maintenance skills caught and fixed a safety issue that averted a potential catastrophe and earned a management commendation. Truck driver. No experience yet but I'm eager to start OTR work soon. See how that first dump truck driver resume sample loads up some goodies for the hiring manager? This works for delivery truck drivers too. A CDL license is a big perk. That ATA membership helps, too. Between the two, you'll wake the hiring manager up like an in-cab ionizer. Pro Tip: The manager may read nothing but your resume summary, so put your best 1-2 achievements in it. It's the only way to keep him reading. "I'll pay this guy whatever he wants." Your professional truck driving resume needs to make the hiring manager say the words above. You don't need experience to fill just any old truck driver job description. But a resume for a truck driver without experience will default to the lowest paying work. How you show it matters most. Show your last job first. Under it, list 4-6 bullet points. Cram them with measurable accomplishments that fit this job opening. Cookie-cutter resumes make great packing material. They're not good for much else. Drove an average 4,500 miles/week as certified CDL-A OTR Driver. Delivered to schedule 98% of the time with 99% customer satisfaction. Maintained 100% clean driving record and 100% clean drug screening tests. Met all DOT and company regulations and requirements for four years. Demonstrated strong work ethic resulting in 10 management commendations. Frequently worked overtime to assist with unforeseen customer challenges. Worked as OTR truck driver for a fast-paced trucking business. Delivered on-time and with a high rate of customer satisfaction. Safe driver with good driving skills. Very strong work ethic. Willing to work overtime. See the difference? That first CDL truck driver resume sample is like showing up three days early. The second CDL resume snippet? More like delivering the wrong freight two days late. But what if you don't have experience to start with? The only way to get experience for an OTR resume is with OTR experience. There's no way to get OTR truck driver resume experience by doing temp work. But do these two things right and that won't matter. First, get a CDL. It'll take a little study time, but it'll put you in the fast lane. Next, sift your past non-trucker jobs for trucker experience. Drove a dump truck in a high-volume quarry, performing physically demanding driving work. Displayed high-level coordination and judgement skills. Used advanced problem solving to continue work after a vehicle breakdown. Through keen vehicle inspection, noticed a problem that would have caused accident/injury. Performed on-the-spot maintenance to fix the issue. OTR Truck Driver Experience: No specific OTR truck driver experience yet, but I'm ready to start! The key is, neither of those commercial truck driver resume samples shows OTR experience. Still, the first one looks like she can sling a tarp or handle a load bar. Yet both truck driver resume examples came from the same person. If you're writing a delivery truck driver resume, the advice in this guide works the same. That's true whether you're applying for FedEX or UPS. It also works for Estes, or other line freight hauler jobs where you're home every night. You're all CDL truckers, so you'll have the same type of trucker resumes. Just read the CDL driver’s job description. See what they're looking for and match your resume to it. Pro Tip: Take time to brainstorm your achievements. Something that only took a couple hours can look great on a professional trucking resume. "Wow. We've got to hire this one." Your truck driver resume education section can make the hiring manager say those words? It's true truck drivers don't need much education. A GED and trade school are enough. Think: What will make a trucking company want to hire you? Reliability. Honesty. Work ethic. Safety. If you've got them, the world is your on-ramp. You can use your education section as the perfect proof. Then add those bullet points. Rebuilt an engine in shop class. Excelled in driver education class. Star Scout, Boy Scouts of America. Avid football team member, four years. Received my high school diploma. That first truck driver resume sample doesn't just show education. It shows you're reliable, honest, safe, and hardworking. It'll soothe the hiring manager like an 8-inch comfort cushion. Pro Tip: Don't have school accomplishments like the ones above? Just do some thinking. You've got to find a few trucking resume "wins" in your past. To make your professional trucker resume stick out like Han Solo in a Peterbilt, see this guide: "How to Put Your Education on a Resume [Tips & Examples]"
Oh oh. You got that dreaded email from the HR manager. "We'll keep your resume on file." What went wrong? You probably didn't prove your skills. The best resume for truckers has to do more than say, "I have the skills you want." It has to deliver like the Ice Road Truckers. First, look at the trucker job description. Second, highlight all the trucker skills you see in it. Third, list the ones you have in your heavy trucker resume. Fourth, prove them in your resume bullet points. Let's take a pretend job description for a truck driver resume. It lists customer satisfaction, delivering to schedule, and problem solving. Show those in your resume. Add honesty and good judgement to round out the picture. Drove an average of 3,500 miles/week as a CDL-A OTR Driver. Maintained 98% customer satisfaction, delivering to schedule 97% of the time. Used strong problem solving & communication to point out a routing flaw that would have cost the company thousands. Commended by management. Displayed advanced honesty by calling attention to a clerical error of $7,500 in my favor. Received a $2,500 bonus for dedication to the company. Exercised good judgement in difficult situations. Elected not to push to get on-time bonus when doing so would cause a hazardous equipment situation. Now you're not just one of 300+ trucker resumes. You're Optimus Prime with a bluetooth headset. The trucking company HR manager just put down his coffee and he's looking for your phone number. Let's get the ball rolling with a list of free truck driver resume skills. The skills list below isn't comprehensive. Add to it from your own trucker skill set, and from job offers online. Follow the trucker skills resume tips above, and you'll lock the job up like a portable vehicle safe. Note: That tarping skill above works great on a flatbed truck driver resume. Pro Tip: You might have a million skills, but only list the ones shown in the job offer, plus a few. If you drown the HR manager in words, he'll drop your trucking resume like a month-old pickled egg. Want to supercharge your skill section? Use the sample truck driver resume from the top of this guide. Also, see this article: "+30 Best Examples of What Skills to Put on a Resume (Proven Tips)"
What if your trucker resume had a special commuter lane that got it ahead of all the rest? You do. It's called a CDL. If you don't have one, get one. If you do, display it. Put it in a special certifications section in your CDL Class A truck driver resume. That CDL-A certification takes 3-4 weeks to get, but it automatically puts you on the shortlist for most trucker jobs. The FAST Card is great trucker resume candy too. Consider applying for it. Of course you also need a valid driver's license, but you knew that. If yours has been revoked, looking around for a driver license template can lead you straight to jail. Pro Tip: Other certifications for heavy trucking resumes are doubles/triples, tankers, and hazmat. Any of these can set you above the herd. You didn't get the job! But here's the secret. It wasn't because you weren't qualified. It came down to luck. The HR manager had 50 resumes that fit the bill. In the end, he picked by chance. Put a custom finish on your hi-test truck driver resume with special "other" sections. Those push you past "qualified" into the "I have to interview this guy" zone. Whatever you add, make sure the bullet points show you as more Tom Brady than Tow Mater. Work out with free weights twice a week. Go for walks 5 days a week for cardiovascular health. Volunteer once a month at St. Brendan's Soup Kitchen. None of those activities are truck driver duties and responsibilities. Yet they all look great on trucker resumes. Why? The free weights show you're physically fit. The walks suggests you're not about to keel over from thrombosis. The volunteer work proves you're service-minded. What activities do you do right now that would make good fodder on a commercial truck driver resume? Pro Tip: Spend the 3-4 weeks to go to trade school. Some companies let you train on the job, but they pay considerably less for the privilege. Need more tips to make great "other" sections in a resume for truck drivers? See this guide: "+20 Best Examples of Hobbies & Interests To Put on a Resume (5 Tips)"
"Nobody will ever read a truck driver cover letter." That's as dubious as Large Marge from Pee Wee's Big Adventure. No one reads generic cover letters. A good one can get your over the road truck driver resume read thoroughly. You just have to write it about the most important thing in the HR manager's life. Next, add a fact or two you like about the trucking company. Third, show how your trucking skills can help. Tell him about a big accomplishment that fits his needs. Last, add a call to action. 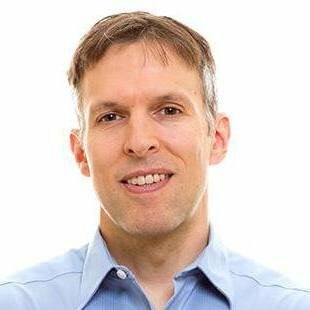 Something like, "I'd love to talk with you about how I can help Schneider National." Writing a truck driver cover letter with no experience? Highlight your passion and excitement for the job. Your trucking resume and cover letter will form like Voltron. Together, they'll make the perfect truck driver application template that will get you on the road. Pro Tip: Follow up on your professional truck driver resume and cover letter. It's a great way to remind the manager about you at hiring time. Need a sample for your truck driver resume cover letter? See this guide: "How To Write A Cover Letter [Complete Guide With Examples]"
You're about to make a huge mistake. But add a LinkedIn profile. Many don't, but 87% of hiring managers consider them essential. If you're not on LinkedIn, don't panic. There's a great guide here on how to make a professional LinkedIn profile. You can also add a Twitter handle and other social media hangouts to a resume for truck drivers. Pro Tip: Do you have Facebook closet skeletons? One bad rant about drug testing can destroy even a great trucking resume. See this guide to tidying your online presence. Need more advice to build the best truck driver resume you can? See our guide: "How to Make a Resume: A Step-by-Step Guide (+30 Examples)"
Start with the trucking job description. Highlight all the skills in it before you start your truck driver resume. Prove those skills in the bullet points of your OTR trucker resume. Show you've got the chops to do this job. Add other sections to your resume for truck drivers. Make sure each bullet point shows you're a great choice. Do you have questions about how to write a great resume for a truck driver? Not sure how to describe your skills or achievements? Give us a shout in the comments! We love to help!